Pony E-News: Warm welcomes, Homecoming celebration and Blue Ribbon winners! Incoming freshmen were welcomed to Stillwater Area High School with lots of Pony Pride! It’s part of the new Link Crew program that provides academic and social support for students as they transition to high school. Watch the video. Back to school week is always an exciting time. For photos from the first day of school from around the district visit our Facebook page. It’s a big year for Stillwater Area Public Schools and we want to celebrate in a big way. 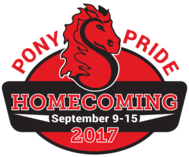 We invite you to join us in establishing a new tradition of Pony Pride within our community by participating in the many special events and activities of Homecoming 2017 - from open houses and tours of our new learning spaces to the first-ever Pony Homecoming Carnival. Read more. 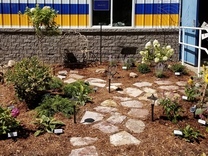 Congratulations to the Stillwater FFA Chapter for earning a Blue Ribbon in the FFA Landscape Design and Construction Competition at the Minnesota State Fair! The Stillwater FFA Chapter has earned a blue ribbon 26 out of the past 29 years! Make sure to download our NEW school meal app. See what's on the menu, receive allergen alerts, and keep track of carbs, calories and more with the new MealViewer system. 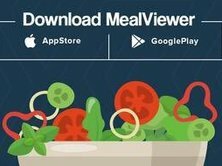 Visit the MealViewer website or download the MealViewer To Go app to check out what is on your school's menu. Use the site's nutritional calculator, access a link to pay for meals, learn about free & reduced meals and see meal pricing. Notice is hereby given that the School Board of Independent School District 834 – Stillwater Area Public Schools will hold a work session for board development on Wednesday, September 6, 2017 at 7:00 a.m. The work session will be held at Central Services, 1875 South Greeley Street, Stillwater, MN. See notice.